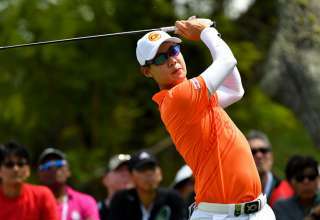 SINGAPORE – Gregory Foo of Singapore pictured on Sunday January 22, 2017, during the final round of the SMBC Singapore Open at the Sentosa Golf Club, Serapong Course, Singapore.The US$ 1 Million event is co-sanctioned between the Asian Tour and Japan Golf Tour Organization, January 19-22, 2017. Picture by Khalid Redza/Lagardère Sports. 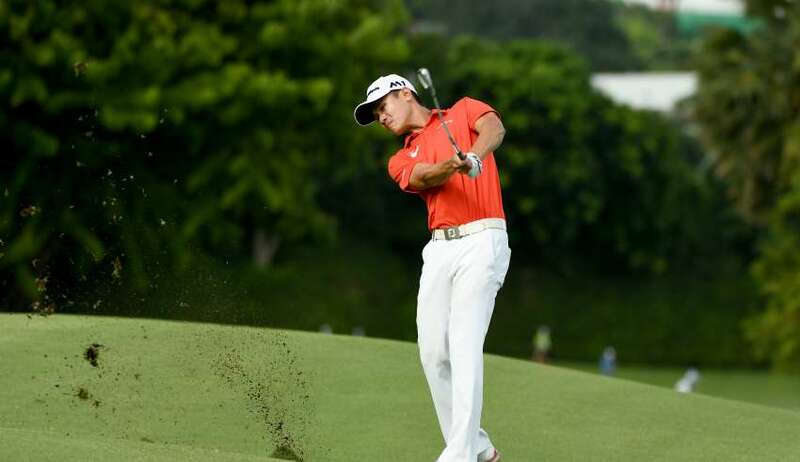 Gregory Foo underlined his status as one of the world’s elite amateur golfers with an imperious victory in the 70th Singapore Open Amateur Championship. 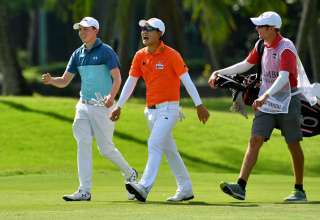 Performing with an authority and maturity befitting a player listed within the top-80 in the R&A’s World Amateur Golf Ranking, Foo simply proved too strong for his rivals in the event that was reduced to 54 holes due to torrential rain. “It’s a very special feeling to win this again,” said Foo, who is the first Singapore-born player to win the national title on two occasions having triumphed for the first time in 2015. 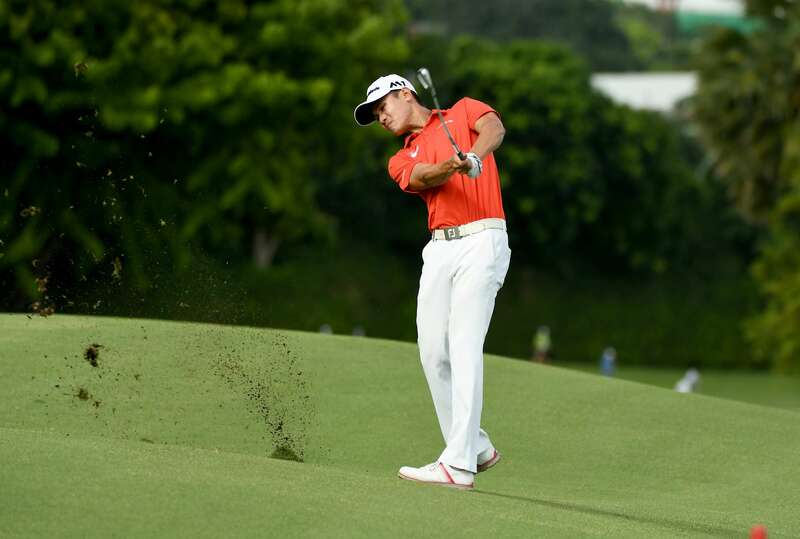 Rounds of 69, 66 and 69 enabled Foo to complete three days at the Singapore Island Country Club’s (SICC) New Course with a seemingly insurmountable six-stroke advantage. 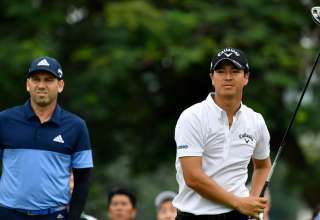 Following a 35-minute rain delay before teeing-off in Friday’s final round, Foo moved to two-under through nine holes and was in total command when the heavens opened shortly before midday. With no let-up over the next two hours and surface water settling around the course, officials called off the fourth round at 1.55 pm and declared the tournament a 54-hole contest. “It’s not the way I wanted to win it, but it’s still a tremendous thrill,” said Foo, who posted a three-day aggregate of 12-under 204. Malaysian Ervin Chang claimed second spot on 210 followed by the Thai duo of Kosuke Hamamoto (211) and last year’s champion Kammalas Namuangruk (213). Foo, who will turn 24 in November, can now look forward to an exciting end to the year, during which he will spearhead Singapore’s bid for glory at the Southeast Asian (SEA) Games, the Southeast Asian Amateur Team Championship for the Putra Cup and the Asia Pacific Amateur Team Championship for the Nomura Cup. “I’m aiming for gold medals both individually and for the team at the SEA Games,” said Foo, who will also seek individual successes in next month’s Singapore National Amateur Championship and October’s Asia Pacific Amateur Championship in New Zealand, where the winner will receive invites to the US Masters and British Open for 2018. Currently, his tentative plan is to join the ranks of the professionals after competing in the 2018 SMBC Singapore Open, one of the rewards for winning the Singapore Open Amateur Championship. 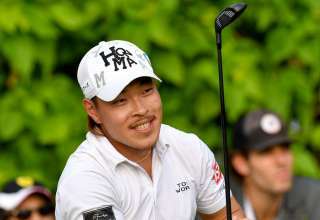 By his own admission, making the cut at this year’s SMBC Singapore Open provided a huge lift to his confidence. “It really gave me the belief that I could compete with the professionals,” said Foo, whose highlights reel this year also includes victory at last month’s Vietnam Amateur Open. Such was his control at the SICC that Foo ran up just three bogeys in the course of 54 holes and played with a level of consistency that none of his rivals from home or overseas were able to match.